Our people, the Assyrians, the original inhabitants of Iraq - whose empire preceded Babylon, many of whom still speak Aramaic, the language of Christ - have been robbed. Along with other minorities in the north of our country, the Turkmen, the Yezidis and the Shabak, we were promised democracy. But the ballot boxes never arrived. The recent elections simply passed us by, our complaints ignored, our rights trampled, by people who should know better, because we shared their experience of repression under Saddam Hussein. As a result, no Assyrian representatives will be taking their place in the new Iraqi parliament. Since the fall of Saddam, systematic low-level ethnic cleansing has driven thousands of Assyrian Christians from their homes. Our churches have been firebombed and our women forced to wear the hijab. In northern Iraq much of this intimidation has come from the Kurdish militias. It reached a climax on election day, when ballot boxes were prevented from reaching between 200,000 and 400,000 people. On the Nineveh Plains, the last area in Iraq where our people live in sizeable numbers, six Assyrian towns, Baghdeda, Bartilla, Karemlesh, Shekhan, Ain Sifne and Bahzan were prevented from going to the polls. The western media have made much of people in the Sunni heartlands being intimidated into not voting, or refusing to vote. 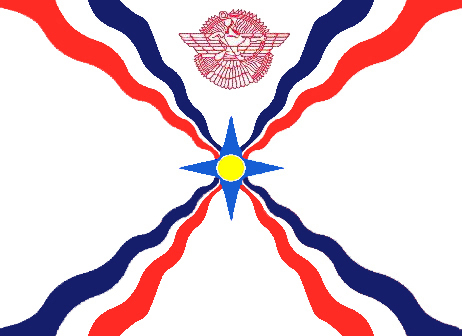 It does not report that the Assyrian people and other minorities wanted to vote, but were stopped from doing so. Reluctantly, many of our people believe that Kurdish political leaders want to exclude minorities such as the Assyrians and the Turkmen. The treatment of the Turkmen has so enraged Turkey that the leader of the opposition, Bulent Ecevit, has called for action to protect them. But no one is speaking up for us. No one has reported that tens of thousands took to the streets to protest at the great vote robbery. We want to live in peace with our Arab and Kurdish neighbours, in a democratic, secular Iraq, free to practise our ancient religion and traditions. We want an Iraq free of outside forces and an end to civil conflict. But the election was rigged, and the Assyrians and other minorities demand that it is re-run in the contested areas. During the 1990s, Britain helped create a safe haven for the Kurds, some of whom have clearly forgotten what it is like to be a repressed minority. To Tony Blair - and to his special envoy to Iraq, Ann Clwyd, who has a great deal of influence over the Kurdish leaders, we say: honour your promises. In the early part of the last century, British politicians made many promises to the Assyrian people that were never kept. This time we hope it will be different. Before our ancient community is driven from Iraq for ever, Britain and her friends in the international community must act. (ZNDA: Vatican) Although the Holy See did not make public the issues that were discussed between Patriarch Emmanuel II Delly, Patriarch of the Chaldean Catholic Church, and Pope John Paul II on Saturday, sources said that one of the topics was the future of Catholics in the wake of the Iraqi elections won by the United Iraqi Alliance. The meeting took place during a demonstration in Rome calling for the liberation of Italian journalist Giuliana Sgrena who was kidnapped earlier this month. 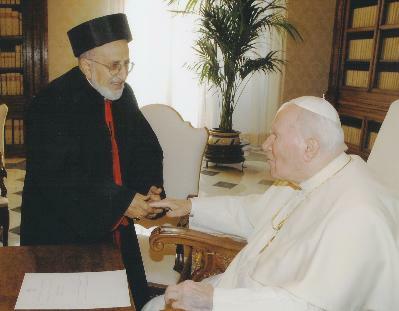 Mar Delly (right) met with Pope John Paul on Saturday to discuss the future of Catholics after the elections and the circumstances surrounding the kidnapping of an Italian journalist. 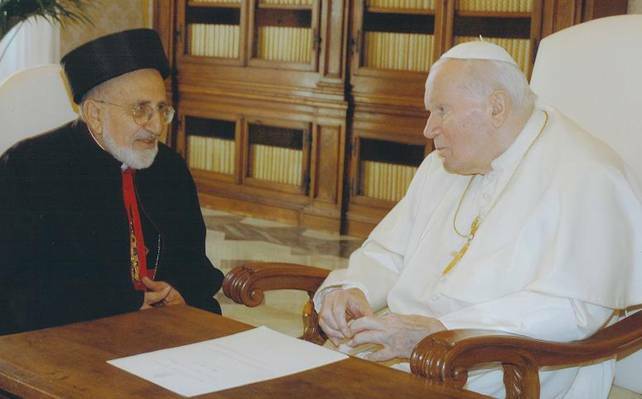 The Holy Father appealed for her release on 13 February. Archbishop Giovanni Lajolo, Vatican secretary for relations with states, confirmed on Friday the mobilization of the Church in Iraq for her liberation. Responding to journalists outside a reception at the Italian Embassy in the Vatican, Archbishop Lajolo explained that the "Chaldean Patriarch assured me that both he and the apostolic nuncio have knocked on every possible door to establish a contact. Up to now, unfortunately, in vain," he lamented. (ZNDA: Sydney) In a February 18th report produced by Paul Weston and Neil Cussen (Liquidators) of Horwath Sydney Partnership to the creditors of Karl Suleman Enterprizes Pty Limited (KSE), it was noted that 998 claims totalling $39,268,619 have been admitted in full or in part and a total of $983,492 has been distributed to investors. To date, 740 rejection notices have been sent in relation to claims worth $32,433,207. The ultimate return to creditors is dependant upon the funds recovered from the recovery actions currently underway, and the costs involved in running those actions. Funds received in the past 12 months from settlements with various agents total approximately $500,000. A further $95,915 has been paid to KSE from the liquidation of Froggy Holdings Pty Ltd in the past 12 months. 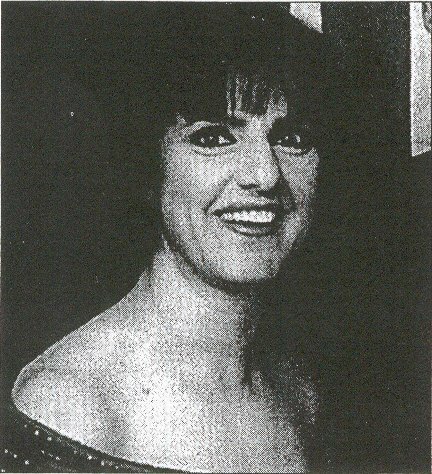 Action against Suzy David, Dominic David Stamfords, Philip Pham and related entities commenced on 18 February 2004 in the Supreme Court of New South Wales and are still under way. These actions will provide the bulk of funds for future dividends to creditors / investors but the action is not expected to be concluded before 2006. To date $188,000.00AUD from Dominic David Stamfords - of which Suzy David and Fred David are partners - trust account has been seized by the liquidators. An action had been started against Tharbane Pty Limited (“Tharbane”), seeking the recovery of $300,000 paid to that company in respect of a then proposed tour of Australia by Elton John, which should have been paid in escrow but were instead expended to Tharbane. A solvency report is near completion and the commencement of litigation proceedings against Fred David is imminent seeking repayment of funds representing the losses incurred by FROGM during the period it continued to trade whilst insolvent. The Liquidator are also pursuing KSE agents for a settlement of the Liquidators’ claim against individuals like Mr. Sam Babanour and a number of other agents. The annual general meeting of the company and its creditors will be held at the offices of Horwath, Level 10, I Market Street, Sydney on Friday 4 March 2005 at 10:00am. A resolution was obtained from the Committee of Inspection on 26 February 2004 that approval was given to the Liquidators to enter into an agreement with Litigation Lending Services to fund the actions against Philip Pham, Suzy David and others. The funding is to provide for legal fees, expert reports, barristers and liquidators fees and disbursements incurred in prosecuting the action against Philip Pham, Suzy David and others. Discovery is to take place in the Pham and David proceedings. Discovery is the process by which the Liquidators have to make the evidence available to the defendants, in this case Suzy David and Philip Pham. The next court hearing in that regard will take place in late March 2005. (ZNDA: Kerala) The announcement that Pope John Paul II raised the sui uiris Syro-Makankara Metropolitan Church to the rank of Major Archdiocese while at the same time raising Archbishop Cyril Baselios Malancharuvil O.I.C., to the dignity of Major Archbishop of Trivandrum of the Syro-Malankarese, India, was welcomed with great rejoicing by Catholics in India. The Syro-Malankara Church is one of three Catholic communities in India which follow different rites the others being the Syro-Malabar rite and the Latin rite. Each rite has its own Conference of Bishops but all three form one Catholic Bishops Conference of India. The Syro-Malankara Church has a total number of about 600,000 members and four dioceses in India. Archbishop Cyril Baselios is the third Archbishop for the Syro-Malankarese in India, following Archbishops Evanios and Gregorios. The translation provided here from Assyrian language to English for Shamasha Gewargis Beth Benyamin's book contradicts completely how malik Khoshaba was presented and glorified in a recent Zinda article.. The Malik Khoshaba that I have seen and known, reminds me of a stilled image; no good deed came out of it. Our people feared him and out of fear they respected him. For that same reason, he was thought to be very intelligent. However, his intelligence was not used for the goodness of our nation. Looking at Khoshaba's life, nothing good came out from him. He was the person that brought the most misery and loss to our nation. As a young person, he was a rude, tough, aggressive, and indeed a very brave fighter; however, he never thought the outcome of his actions. He was nicely built but with unattractive face, unlike the other “Maliks of Tiyari”. He had a strong understanding but never used it for the benefits of our nation. Thus, the untruthful pride to his forefathers made our people hate him. They avoided him, and did not trust him. He created for himself a history that never existed. He said that he descended from a famous family of Maliks (heads of tribes), but that was not the truth. All Tiyari knew that his parents were regular folks; they only managed their village but not the other villages of Tiyari. When the American missionaries arrived and established themselves in those mountains, Malik Khoshaba enrolled in their schools and formed relations with them. From then on, even at tender age, he had the tendency towards destruction; looking to gain leadership and hating the prelates. Those missionaries were preaching against the teachings of our church. 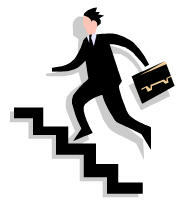 He found that opportunity and support in order to lean towards them and their money. First, he united religiously with them and started denouncing and demoting his forefather’s church and its leaderships. When the American missionaries saw that they now held a tool in their hands to destruct our church, they grabbed him and supported him financially and with physical strength. Malik Khoshaba's father Yousip was killed by Rasheed Beg, the Kurdish amir of Barwar. This he did to avenge for the killing of one of Rasheed’s men, who was killed by Yousip’s men. Thus, the young Malik Khoshaba of American school in Urmia returned home to take revenge for the killing of his father. He went to Barwar and looted Rasheed’s sheeps and took them to Tiyari. Sa’eed Beg, Rasheed’s brother, was trying to take back the looted animals; he was killed by Malik Khoshaba. Thus, Rasheed Beg was so furious with what happened, he gathered a big force and attacked a part of lower Tiyari. He demolished, burned, and looted seven villages including the head of tribe's palace which was purchased by those American missionaries. They also killed several young men of Tiyari. Meaning, Rasheed took revenge ten folds as much than Malik Khoshaba. That was Khoshaba's first big losing exchange. The big surprise was however that none of his close relatives and other tribes “Asherat” came to his help. The reason was that they hated him because of his challenges were not in the right time and place. Khoshaba was born by parents that were members of the Church of the East faith. He was baptized, grown, and disciplined in this church, yet he switched to Presbyterianism. A large portion of his life was spent with the Presbyterians. Later, he realized that there was not much left to succeed in destroying and ending the Church of the East and its faith. Once again, he switched his saught and switched to Roman Catholicism in the city of Mosul. The reason was because this Catholicism was much stronger during that time, had more influence, and had a lot of animosity towards our Church and nationality. By switching to Catholicism, he thought that he would be able to uproot the Church of the East from its foundation. He worked very hard to accomplish his aim, but he failed. His aim was not for the goodness of the people, but for his own personal pride. Malik Khoshaba stabbed and killed his pregnant wife and two of his young daughters. He believed she was cheating on him. If that crime might has been comprehensible due to the alleged reasoning, what about his two innocent daughters? This vicious act of brutality was done only by a savage and uneducated person, not by a person that considered himself as a civilized person, claiming leadership of a nation. Later, he married a girl of his daughter’s age. He escaped to Turkey and lived there for several years to avoid persecution by civil courts in Iraq. With the help of several people, he came back and lived in Iraq disgracefully. "This is a very important and much needed book that should have been written long ago. The author traces the history of the Assyrians from the fall of their Empire to the present day and convincingly demonstrates the unbroken continuity of Assyrian identity through the millennia in the middle of endless persecutions. This dispassionate yet captivating book corrects many misconceptions about the Assyrians, both ancient and modern. 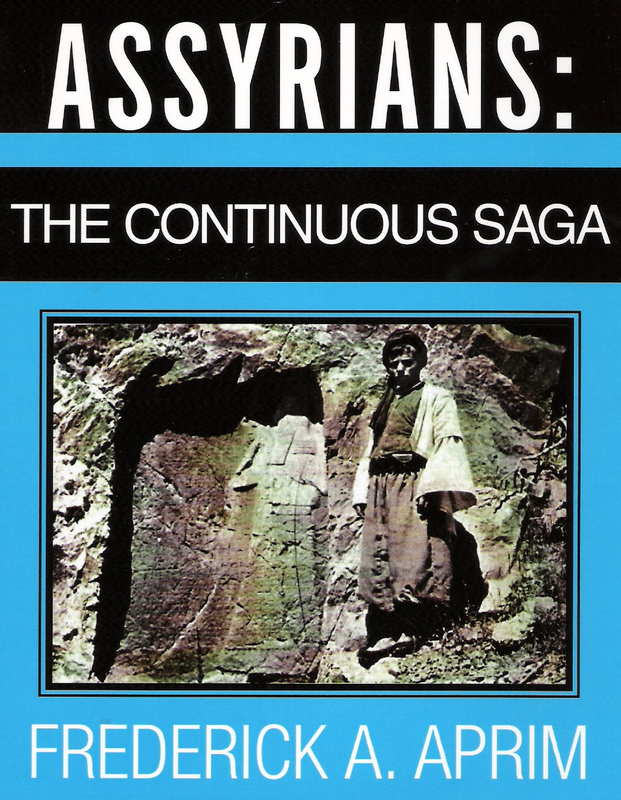 It is a must for every modern Assyrian and Assyriologist, and of considerable interest to the general public as well. I personally started reading it from Chapter 10, "The so-called Assyrian cruelty," and couldn’t stop reading."